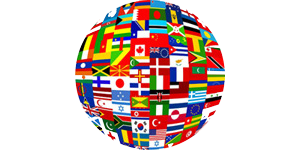 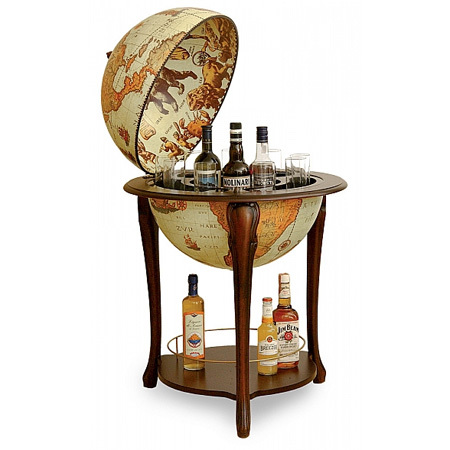 Everybody knows the African safari-style globes with their white-yellow-brown design. 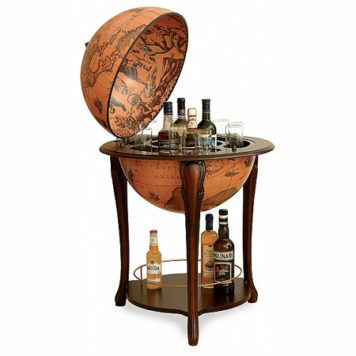 But did you know that some of that globes have a complete drinks cabinet inside? 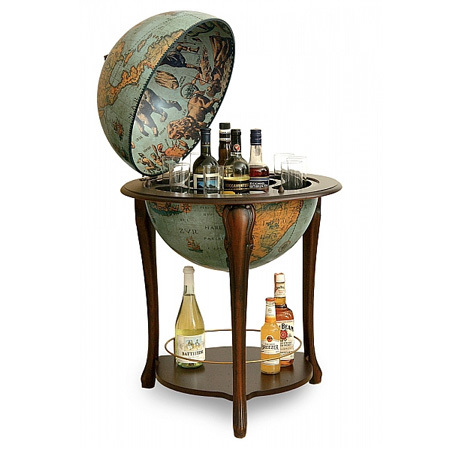 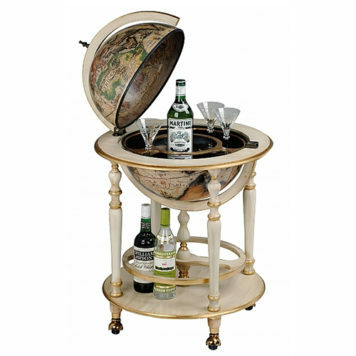 The Safari drinks cabinet combines art with a globe and a mini-bar. 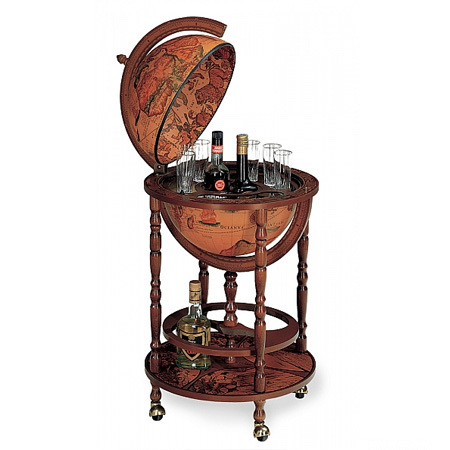 Perfect for special occasions in which you need some space to store bottles and glasses. 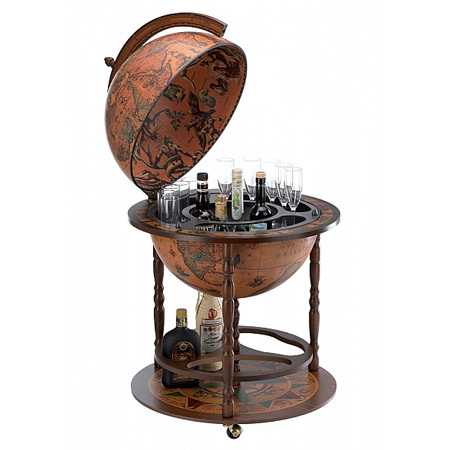 This version has a large base shelf for storing a lot of bottles that you do not need at the moment.